Ever fear wearing dark clothing items because of “snowflakes” on your shoulder? Dandruff has always been a nightmare to deal with especially if you are living in hot and humid weather as it further irritates the scalp and prolongs the build-up of flakes. Regardless if you are experiencing either dry or oily scalp, dandruff causes itchiness and can leave your scalp red and inflamed. Without further ado, let us walk you through these products that cater to every different need of dandruff problem. For some of us, harsh chemicals in a formulation might cause dandruff problem. Worry not with this product as it is formulated with all-natural ingredients that follow Ayurvedic concept to treat any scalp problem. Made with active ginger extract, it not only protects your scalp but also mild on the skin to prevent further complications. An absolute win if you are looking for an effective but also a neutral product. Fungal infection might cause your sebum to overproduce skin’s natural oil. 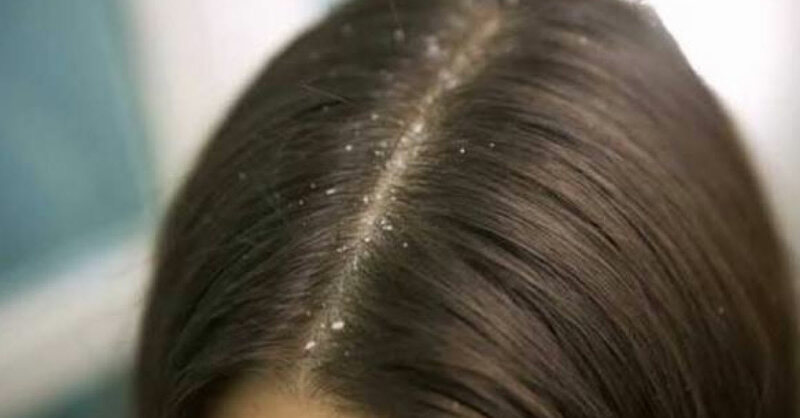 It then leads to scalp problems that result in dandruff. With medicated cold tar as an active ingredient, it treats any fungi infection, encourages healthy sebum and ensures your hair stays strong from root to tip. It also slows down production of sebum’s oil and controls build-up on scalp, leaving you with healthy and manageable hair. If you are looking for a shampoo that can help you manage your dandruff problem without any sulfates, Neutrogena has come up with an excellent formulation for you. Rated as one of the best anti-dandruff shampoo leaving many raving about it. Its formulation is not only gentle on your skin but also leave hair feeling luxurious after every wash. Formulated specially for men, this shampoo includes a synergetic blend of sugar cane, beetroot and coconut oil. It improves blood circulation on the scalp to prevent excessive flake’s build-up. Powered with PureProtect Active ingredients, it also eliminates dirt that clogged pores. With citrusy scent, you can be sure that your hair feels amazing and fresh even after hours of washing. Want a simpler shampoo routine? This shampoo has been formulated with a conditioner that makes your hair smoother and soft to the touch. It is fast acting for dandruff relief and also contains 1% of phyrithine zinc to help control build-up of flakes on scalp and itchiness. Guaranteed a manageable and shinier hair for every washing that you did. Worried about your dry, frizzy hair on top of your dandruff problem? Fret not as this product not only treats scalp and flake’s problem. In fact, it treats damaged hair from excessive colouring and heat damage by restoring moisture while preventing dandruff’s build-up. Say goodbye to frizzy hair and welcome healthy shinier hair! Curly hair does disguise dandruff well, but it does not mean you have to settle for less. Formulated to remove build-up from excessive products usage that makes your scalp dry, you only have to use once a week to compliment your usual shampoo routine. In a way, it acts as a weekly treatment. Definitely a game changer than the usual products you are used to while still treating any scalp problems that might lead to dandruff’s problem. Did your little children develop dry scalp problems? Cetaphil has formulated a shampoo that is not only gentle on your babies’ skin but also treats any itchiness problem. With Glycerin and Penthanol, it gently cleanses and moisturizes skin without any irritating effects. Thanks to its nourishing effects, you can ensure your baby smiling and happy using this product.